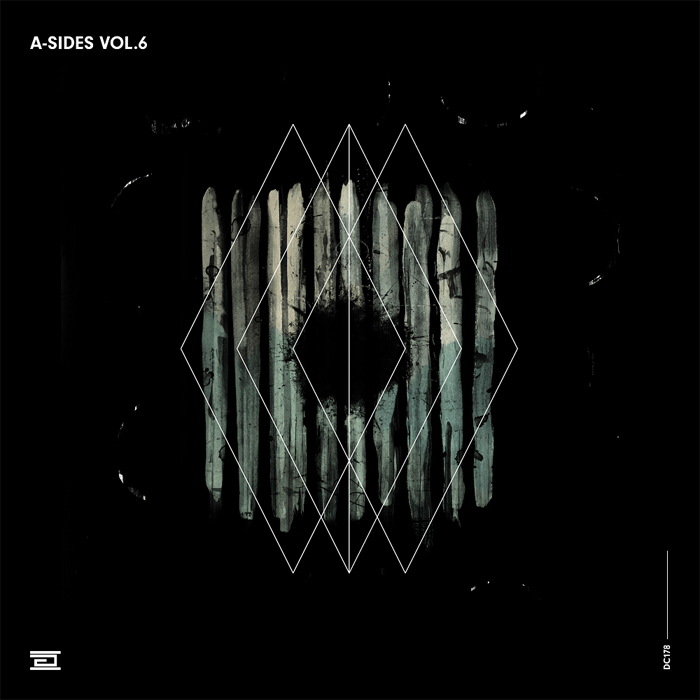 Drumcode has released the 6th installment of the A-Sides series, which is greatly renowned and for a good reason. The concept of the series is to feature tracks that are of high enough quality to be A-sides for their own EPs, but for which other tracks could not be found to complete the release. Each volume features a mix of Drumcode’s main artists along with some new faces. This edition sees the return of legendary household producers, such as Enrico Sangiuliano, Timmo, Luigi Madonna and Roberto Capuano, while welcoming Spektre, Amelie Lens, Mars Bill, Wehbba and others to offer their contributions to the label’s history. Due to the sheer volume of tracks, I’ve decided to select my favorites from this compilation, which are six tracks in total. You can find a link to the full release below. Amelie Lens kicks off the compilation with “In Silence”, a minimalistic track in her signature style, but with a highly contagious acid twist. The Belgian producer has brought together rolling basslines, acidic arpeggios that twist and turn and calming vocal samples that make an appearance on a few occasions. With just these elements, Lens has created a compelling track that will definitely be of interest to lovers of the harder varieties of techno. Brazilian producer Wehbba is a newcomer to the Drumcode family and for this occasion he’s created a dark and menacing track that’s nothing like his usual productions. The main focus of the track is a heavy sidechained bass, which has been augmented with rhythmic synth- and vocal patterns. An eerie arpeggio playing in the background creates the necessary tension, while an array of different sounds and effects breaks it up and prevents the track from becoming too monotone. Adam Beyer and Enrico Sangiuliano have joined forces for the first time and the result is just phenomenal. “Preset Heaven” features an infectious melody, which is backed by subtle pads and Sangiuliano’s signature bass stabs. What gets me most, though, are the exhilarating vocals chants that immediately fill the air with love and elation. There’s no doubt about it, this is my absolute favorite track from this release and probably one of my all-time favorites from the Drumcode catalogue. Pig&Dan’s “La Bruja” stands in stark contrast with their other Drumcode releases and is more in line with the tracks that usually end up on their own Elevate imprint. The structure of the track is simple, which is centered around an exquisite melodic loop. Aside from a few sound effects here and there, the track doesn’t stray very far from the beaten path, which can get a bit repetitive on occasion. For me, though, there’s just something about that irresistible melody that makes me listen to it over and over again. The opening of Timmo’s “Muzik” features a loomy sub-bass and ponderous vocal cuts that have been contrasted with vigorous percussion. This section plays out for exactly two minutes and sixteen seconds before emerging pads swoop in and bring some playfulness to break up the weary mood of the track. Unfortunately, they only persist for a minute or so, which leaves us with two and a half minutes that don’t bring anything new to the table. This doesn’t make it a bad track or anything, but I will say that I’ve come to expect a bit more from the Bulgarian producer. Observant listeners will have noticed already that Dense & Pika’s “Just A Beat” has some similarities with “Going Down”, which was last year’s collaboration with Adam Beyer. There are some differences as well, which are the wide selection of reverberated sounds that have been scattered around this production as well as the quality of the sounds, which are exceptionally crisp. Overall the track is quite an immersive experience, which is kept somewhat grounded through the reiteration of coarse vocal cuts. The “A-Sides Vol. 6” compilation has been released today on Drumcode. You can check out the other tracks on SoundCloud or on Beatport. Credits go to M1KRONAUT for writing the intro text (that I modified a little bit). Respekt Recordings has made a pilgrimage to the 90’s with the 144th release on their imprint. 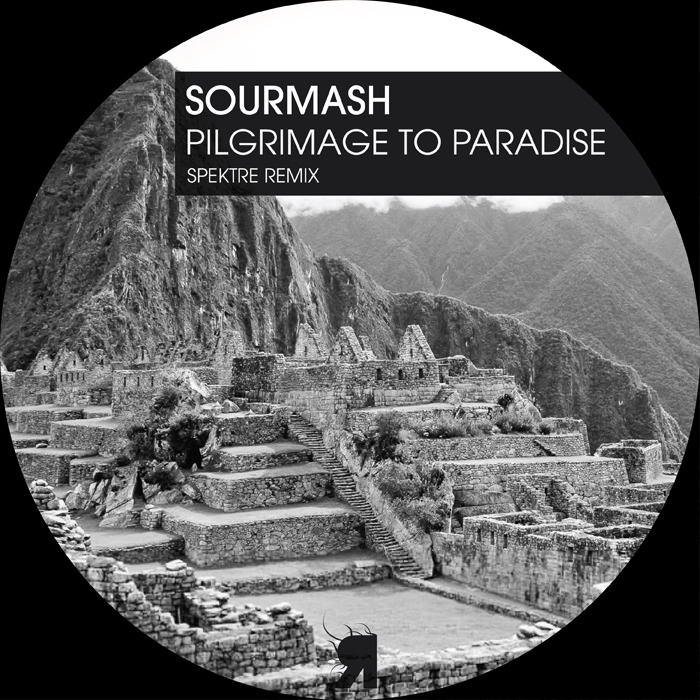 Inspired by the Sourmash classic “Pilgrimage To Paradise”, the label bosses decided on re-releasing the track and providing their own take on it as well. It’s safe to say that this makes it a bit of an unusual release, but for oldskool ravers, the EP is probably a breath of fresh air. Check it out below! The original mix brings us directly into rave mode with a galloping synth and a reverberated stab. The tumbling percussion brings the track further to life and serves as an energetic backbone to the various melodic layers that are introduced as the track moves forward. This has resulted in a somewhat chaotic mixture, that, with its 134 beats per minute, isn’t very practical for contemporary DJ sets, but is still quite charming in a way. 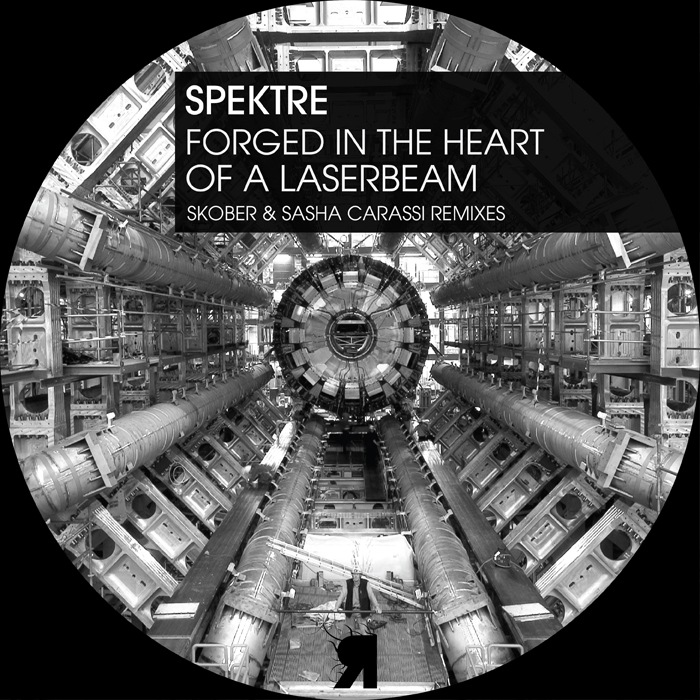 Spektre has re-mashed the original into a stripped back version in their own signature style. What the track lacks in energy (and maybe a little rave potential) it sure makes up for in structure and playability. All in all, The British producers have done a great job in updating this track, without sacrificing too much of the classic elements that make the original what it is. The “Pilgrimage To Paradise” EP will be out tomorrow on Respekt Recordings. If you’d like to listen to the original track, check out the sample over at JunoDownload. 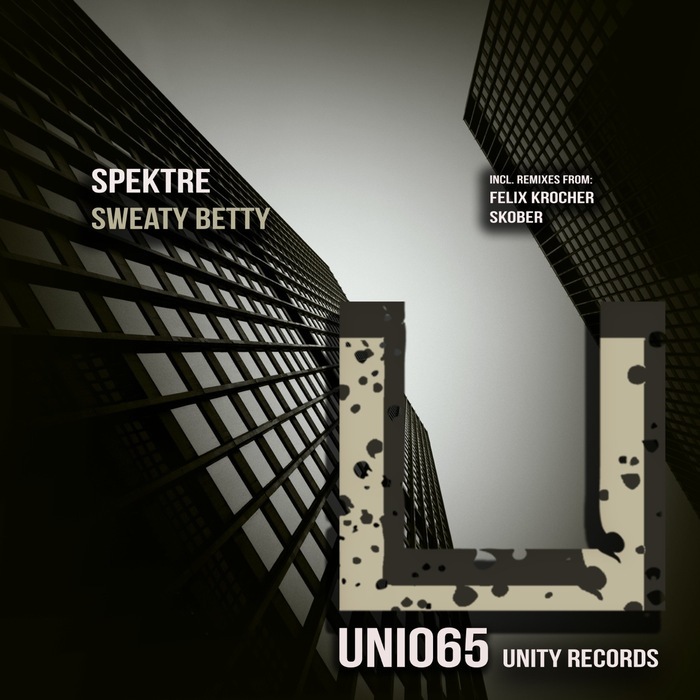 Unity Records has already been a home for artists like Raffaele Rizzi, Mr. Bizz, Loco & Jam and label owner D-Unity, but now the label has risen to even greater heights with a new track from Spektre. The British duo, who needs no further introduction, has a steady track record with more than nine years of releases and continues to reinvent themselves to this day, which is an impressive feat. This EP features their most recent offering, “Sweaty Betty” and comes with additional mixes by Skober and Felix Kröcher. Spektre’s original track follows the trend of earlier releases like “Behind Closed Doors” and “Erase The Tapes”. Right from the start, the listener is confronted with a dark sub-bass that immediately sets the tone for the track. Layered with gritty, minimalistic percussion, textures of rough, unfiltered basslines and haunting vocal cuts, this stormer of a track doesn’t hold anything back. Skober manages to lighten the mood a little bit with his interpretation of the track. The rough basses have been replaced by a very subtle bassline, but a thumping kick drum and a piercing snare still lead the way. The vocal parts from the original are also heavily featured in this mix. They’re accompanied by a melodic pad sequence that evolves during the break. Felix Kröcher’s remix also paints a different picture. The track features light percussion and subtle bass hooks that slightly resemble the basses from the original. Other elements are a thin, rhythmic sequence that repeats throughout the track, ambient stabs and sounds and also the vocals from the original production, which are the main focus of the track. “Sweaty Betty” is out now on Unity Records. It’s been over a year since “Road To Nowhere” premiered on Spektre’s radio show “Mutual Respekt”, but now the track finally sees the light of day. 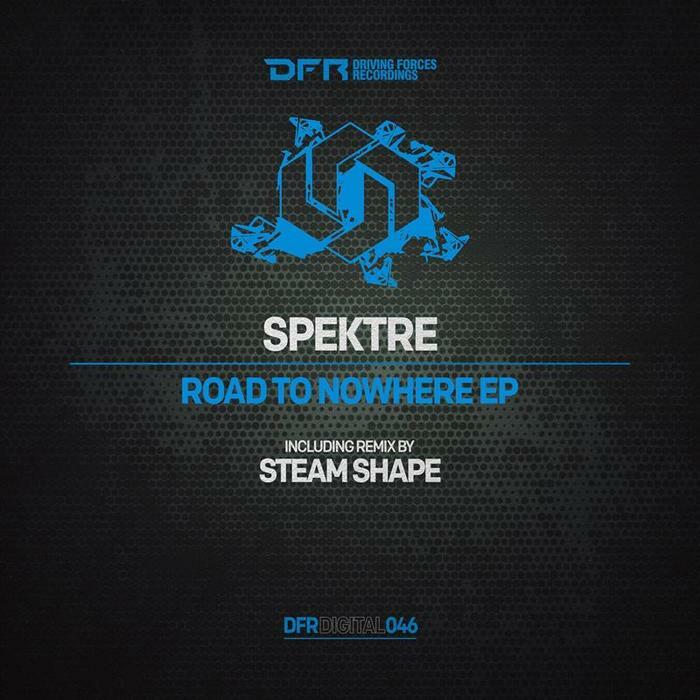 “Road To Nowhere” comes with a remix by Steam Shape and a second original track by Spektre, called “Rattled”, which concludes the EP. It seems that for this release, Spektre has once again been heavily influenced by the sound of 2012, just like their earlier release “It Is What It Is”. Let’s see if it holds up. “Road To Nowhere” is an upbeat track that delivers a fresh blend of past and present, which makes it stand out immediately among other releases from this year. The track starts out with a simple, friendly sounding riff that’s soon followed by an airy background sound and a growling bass, that makes several appearances throughout the track. All the elements complement each other nicely and they do so in a very subtle fashion. Steam Shape’s interpretation of “Road To Nowhere” strips the track of most of its nostalgic parts, which makes it almost indistinguishable from the original. The complete lack of melodic elements has turned the track into a modern sounding dub track, that could have easily been passed off as an original production. “Rattled” is definitely the most old school sounding track on this EP. It’s a minimalistic track that mostly consist of industrial sounding stabs and echoey vocal chops that give the track a somewhat dreary and desolate feeling. “Rattled” is a track that’s not gonna fit in every set, but those that love the sound of Bodyscrub will probably find it to their liking. Spektre’s “Road To Nowhere EP” is out now on Driving Forces. We are fairly picky about the Techno productions we’ll review at Side of Groove, but seem to have a struck a goldmine with the past few releases on Loose Recordings that have dropped into our inbox recently. Loose Records, founded by Rino Cerrone and Mario Manganelli, has been at the forefront of the underground techno scene for many years, most well known for championing Drumcode friend Luigi Madonna. It feels like just yesterday we wrote about the ‘High Voltage‘ EP, and now we already have the label’s next release. Loose Records is in the midst of releasing a retrospective compilation (across six volumes) celebrating the label’s first 30 releases. Vol 3 features tracks from Spektre, Hollen, and Audiomatiques (who we recently covered here). Spektre’s piece ‘Outpost’ is our favorite from this volume with it’s full sounding percussion and well-timed acid synth that make for a great musical journey. Hollen shares ‘Clips,’ which is a surprisingly groovy affair with plucks of detuned strings and plenty of reverb. Audiomatiques finishes off with ‘A Line,’ which showcases the producers’ versatility with minimalist tweaks and nudges to the progressing bassline. Release details and previews to follow. Out June 23rd (Vinyl) and July 14 (Digi) on Loose Records.